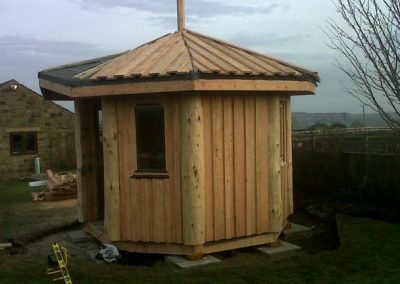 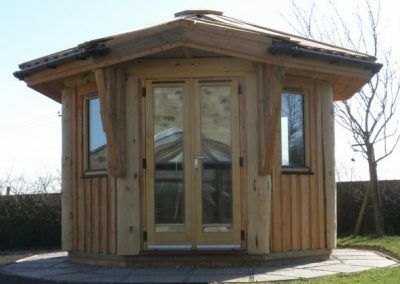 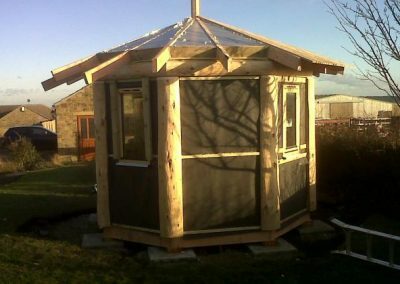 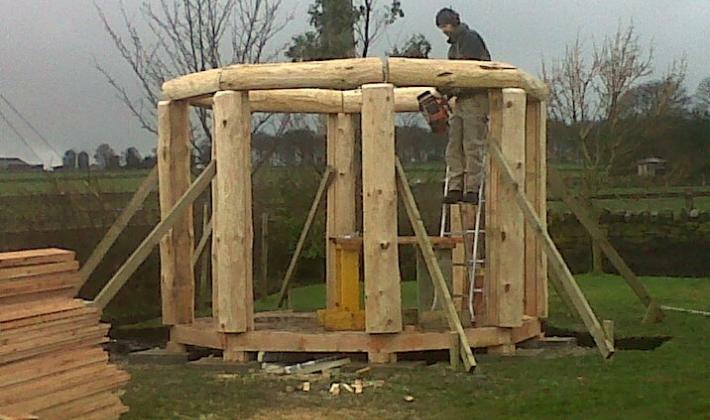 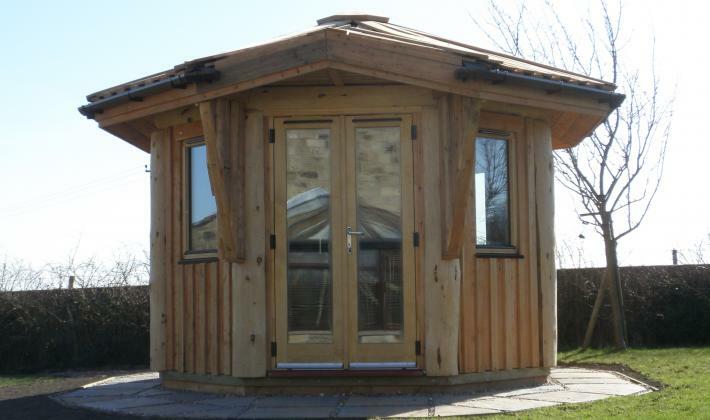 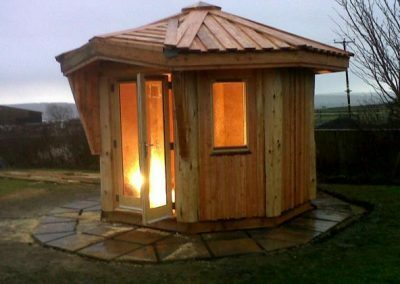 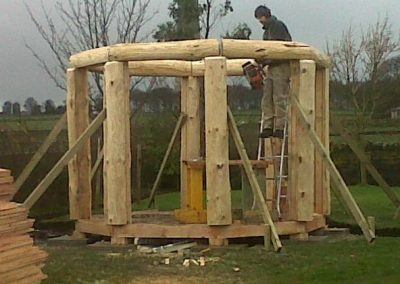 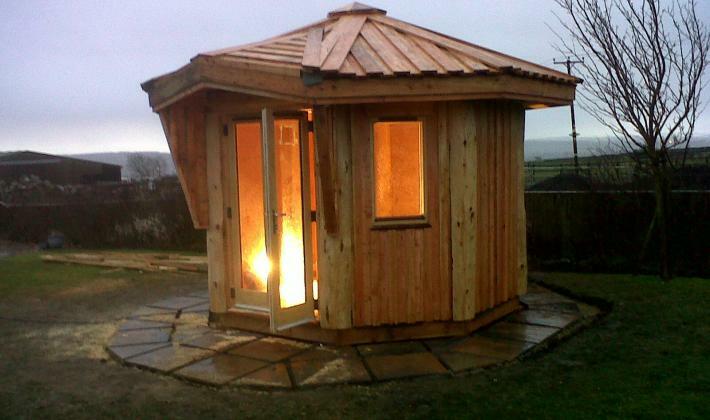 This octagonal hut features Douglas Fir posts on the eight corners. 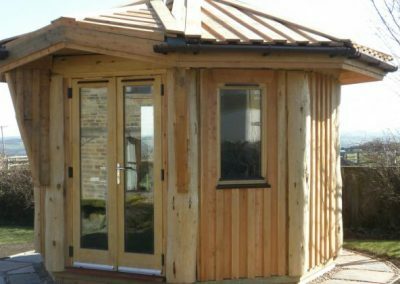 The design was to include double French doors and opening windows to capture the magnificent scenery of the surrounding landscape. 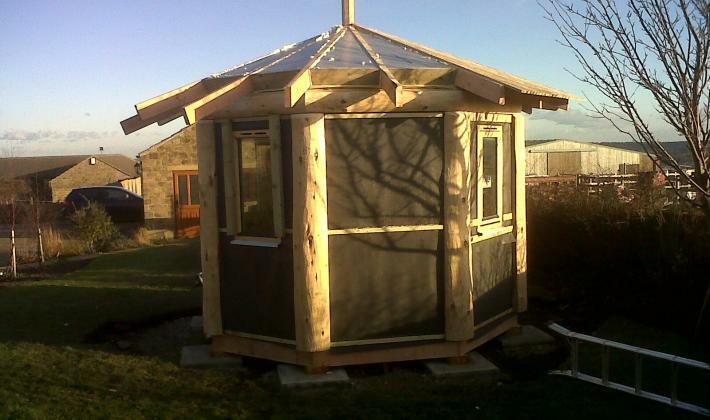 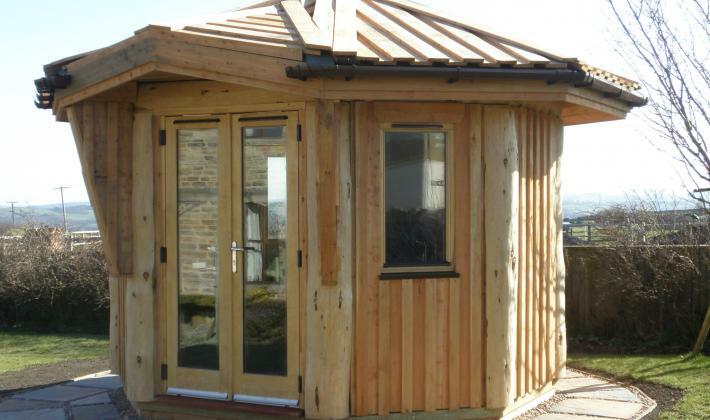 The structure is fully insulated and includes triple glazed windows. 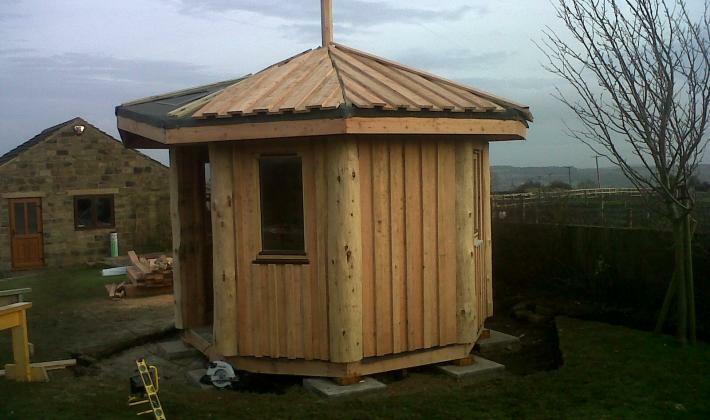 The exterior is finished in larch cladding.